Mattress Innovation - American Made and "Practically Green"
The Beloit Mattress Company has been handcrafting high quality, durable mattresses – one at a time – in our local, family-owned Beloit, Wisconsin, mattress factory since 1929. Innovation doesn’t always mean “new.” Sometimes innovation means reverting back to time-tested practices that were effective but have since been abandoned. And the mattress industry is no exception. Yes, we still make many of our mattresses the old-fashioned way – by hand. 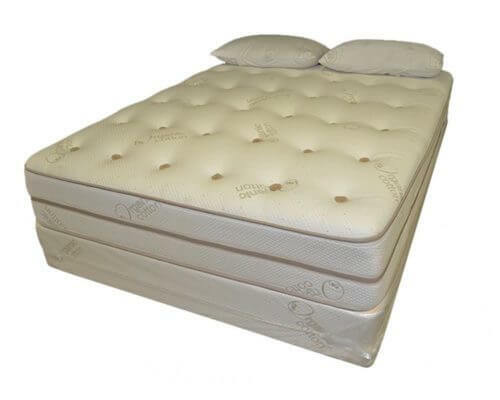 Most mattress companies use either almost no natural materials or all organic material. We’ve found that neither option gives you the best mattress. We believe that the best way to achieve good sleep, long-term durability, and affordability is a balanced approach. That’s why we’ve adopted a “practically green” philosophy. “Practically green” means that we use all-natural materials as much as possible without sacrificing comfort, durability, and affordability. 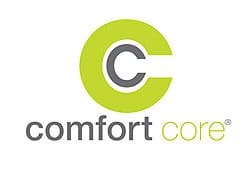 This allows us to offer sleep solutions that are healthy, environmentally friendly, comfortable, durable, and affordable. Hand tufting is a mattress-making technique that has been around for hundreds of years. A tuft is a stitch that goes through the entire mattress, keeping the filling in place and ensuring superior support throughout the mattress. In short, hand tufting means that a skilled worker creates these stitches by hand. There is very little argument throughout the industry that hand tufting is the longest lasting, most durable way to construct a mattress. The only drawback to hand tufting is the time it takes to do it. It is not an automated process. It takes several skilled workers several hours to build a good hand-tufted mattress. This is why so many large national mattress corporations have abandoned the process. Why spend hours handcrafting a mattress when one unskilled worker can build several machine-quilted mattresses by pushing some buttons and pulling a zipper tab? We’ll tell you why. Because a hand-tufted mattress lasts longer, is more durable, and is better quality than one that is machine quilted. And that’s what you’ll get when you buy a mattress from us. Though we construct mattresses in the same way we did since 1929, we also use the latest bedding technology. We still hand tuft our Heirloom mattress models, while also integrating the latest Leggett and Platt Comfort Core technology. 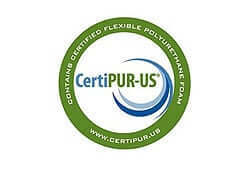 Our standard polyfoams are CertiPUR certified. This means it meets all of the CertiPUR-US® standards for content, emissions, and durability. You’ll get sturdy, time-tested construction methods, CertiPUR-US approved foams, the latest innerspring technology, and innovative product design. With refined manufacturing processes, we continually improve by incorporating the latest, most enticing technologies. With eco-friendly options, along with the ultra-supportive Comfort Core technology, we offer an original bedding solution made handmade for quality and comfort.